If you're looking for a good deal for fab food prepared by Delhi's young and talented chefs then this is the one to grab! I love the fact that chefs in Delhi are getting their due recognition. Everyone's been talking about the evolving culinary options in the capital for the last few years. But sans a few very popular chefs, the aam Delhite has not known the people responsible for this change. But this is slowly changing now. As chefs are becoming more interactive with their clients and with hotel and restaurant managements encouraging this move its time for chefs to step up and enjoy the limelight that they rightfully deserve. A substantial step forward in this direction has been taken by The Gourmet Studio. Launched by the Delhi Gourmet Club in association with Groupon, The Gourmet Studio will organise activities through the year offering fantastic deals to savour the culinary talents of different young chefs every month. This month the Gourmet Studio showcases the culinary expertise of Chef Vaibhav Bhargava at the Pan Asian, Sheraton New Delhi, Saket. 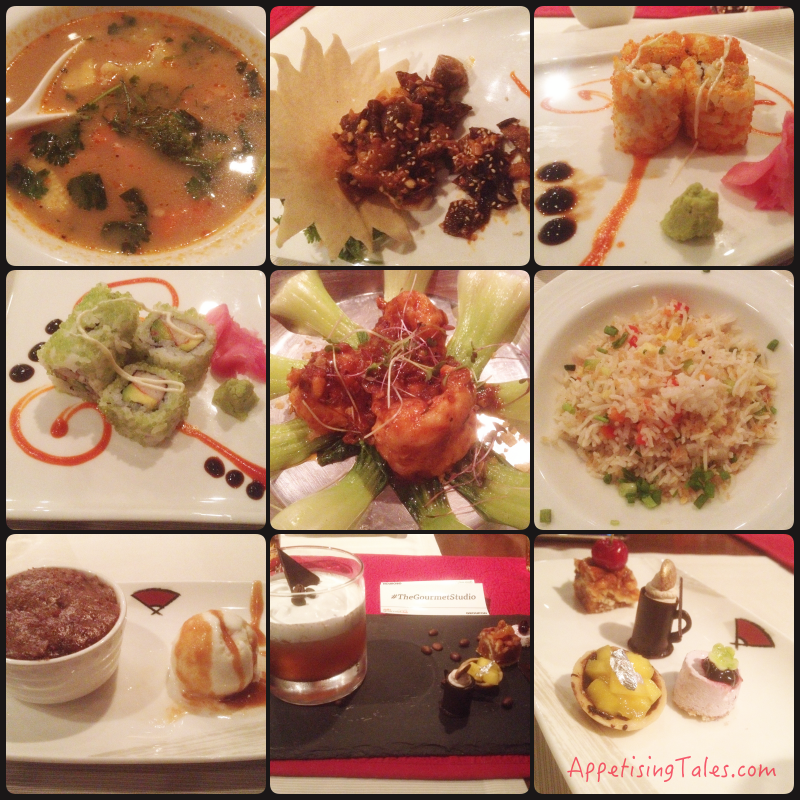 The six-course meal offers veg and non-veg choices from Chinese, Thai and Japanese fare. The portions of soup, salad, sushi, sorbet, main course, rice/noodles and dessert are very generous and food quality and presentation is great. I chose the Tom Yum Soup, Warm Mushroom Salad, Spicy Salmon Roll, Thai Prawns in XO Sauce with Garlic Fried Rice and Hot Toffee Pudding. Have a look at my meal and book yours now! There are a couple of dishes extra in this picture because I tasted some from my companions. And next time I am definitely going for the Teriyaki Grilled Chicken, it is fantastic.